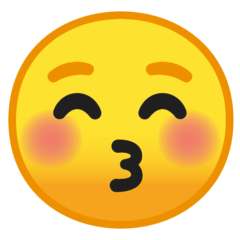 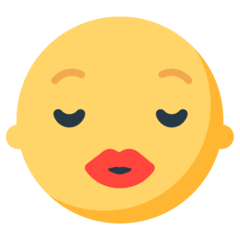 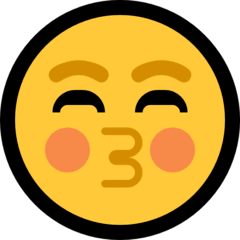 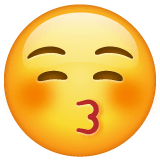 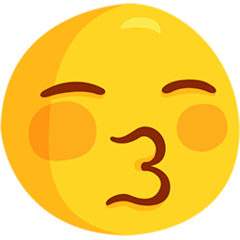 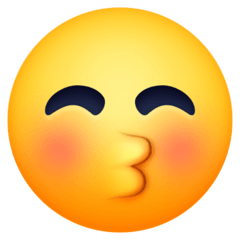 Kissing Face With Closed Eyes emoji looks similar 😗 Kissing Face Emoji just like it sounds like — it is the smiley with a relaxed expression, closed 👀 Eyes, and kissing lips. 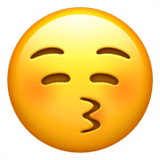 It is often used as a synonym for “kiss you” because of its lip position — especially often it is used in the meaning “kissing you goodnight” because of its calm look. 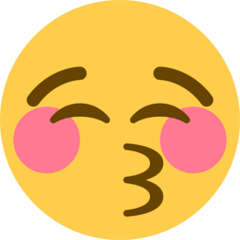 It lacks any romance-related elements, so it’s rarely used relating the partners — mostly it is meant for friends, parents, or children.